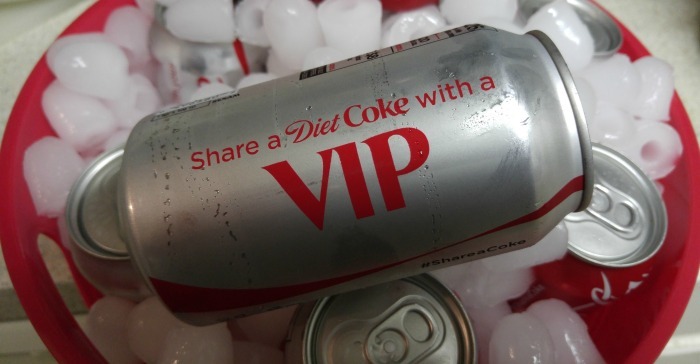 I Love to #ShareItForward with Coke And You Can Join Me! Coke is one of my favorite brands because even though it has largely remained unchanged for more than 100 years it somehow still possesses that unique American feel. It's a confident drink that has maintained an incredible brand that elicits that feeling of comfort, warmth and friendship. So when I heard that they launched a new line of cans featuring "nicknames" instead of actual names, it got me excited. Who would I share these with? Who's day could I make a bit brighter by participating in #ShareItFordward? 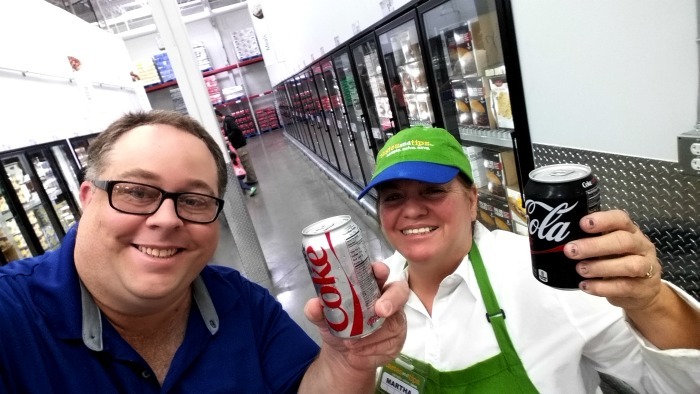 My first stop was to visit Sam's Club where I met Martha. When I approached her sample booth, it was clear that she was having a good time and enjoying making other people happy by handing out free cans of Coke. However, when I stopped by and wanted to do more than just grab a free can and walk away, she was super excited. I explained that I was working on a campaign to share Coke with my friends and her smile got even bigger. There is something contagious about generosity and even more so when someone else wants to join in the fun! So, with that extra jolt of energy I started shopping! 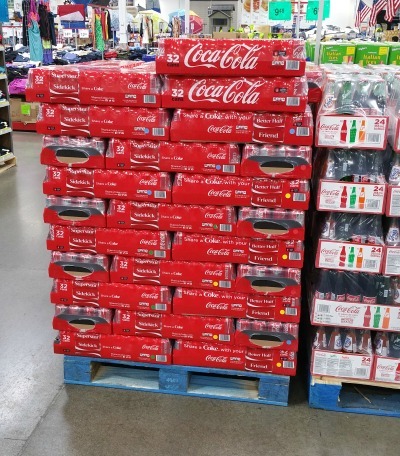 These 32 can packs of Coke are great for entertaining - but they are also great for making a splash with my friends who I had in mind to give them out to! The next step was putting them in a bucket to share with some friends in my building as well as the people that work late in the evening around out building such as our security guard and the valets across the street. 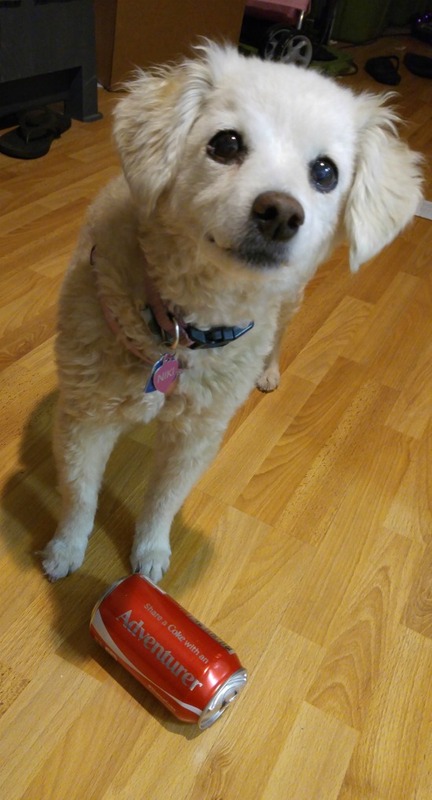 What I didn't expect was that my dog Niki Belle wanted to join in the action and did so by knocking a can off the table and then rolling it around on the floor as a toy. While soda is obviously not good for dogs, at least she got some enjoyment out of me sharing it with her! Ironically, the can she chose was the Adventurer can. Then I set out to walk around outside and hand out Cokes to some of my friends. I live in downtown San Diego, right next to one of the biggest nightclubs in town. So, you can imagine how crazy it is at 2 a.m. when the club gets out. Our security guard does a fantastic job of keeping our building safe and he earned the bucket of ice cold Cokes that I gave him that night. 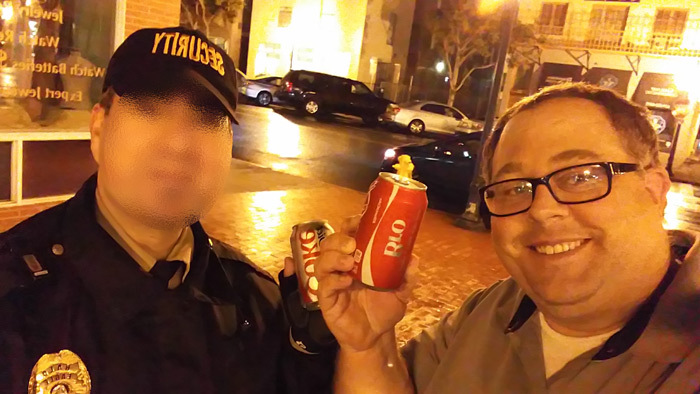 In fact, he shared with me the next morning that he had a blast handing out Cokes to his friends from neighboring buildings as well. Just like I had experienced, this act of generosity and sharing something like this is super contagious and fun. You don't need to have a ton of money. You don't need to be super fancy. All you need to do is love to have fun and share that fun with others! 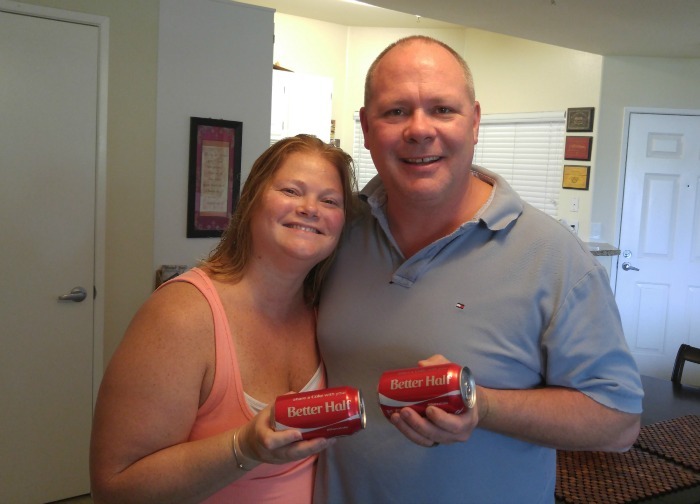 Finally, since I loved the fact that Coke had created cans with "Better Half" I had to share them with my good friends Bill (who also writes for ManTripping.com) and his wife. The two of them got married last year and are a super cute couple that embody the same spirit of generosity and passion for sharing with other people.